One of the responsibilities that I have as a Director with Manna Worldwide, is to organize and lead trips to visit our projects around the world. Of course, being director of central Africa makes that my primary focus, but it will not be the only place I will organize and lead trips to. This past August I had the privilege of going to Guatemala to work on a new property that we have just purchased. We spent quite a bit of time working on the property, but we also visited two of our feeding centers and our orphanage there. Once again, I was greatly impressed with what Manna Worldwide is doing. 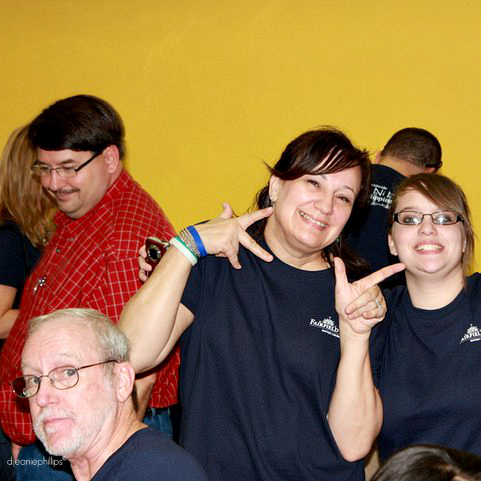 The two feeding centers that we visited are housed in buildings that MANNA Worldwide built. These buildings were built for churches that were started by our MANNA partners. MANNA is a compassion ministry with the goal of reaching people for Christ and discipling them, which is the Great Commission. It is not enough to feed the hungry and clothe the naked. We must share the gospel, then teach others how to share the gospel. A few weeks ago, I travelled to the Philippines. My siblings and I are in the process of helping our parents come back to the States after being missionaries since 1971. My mother experienced two bad strokes back in June and she needs better medical care than they can get there. To say that I am proud of my parents for their faithfulness to the call of God in the Philippines is a great understatement. They are a tremendous example for all of us. 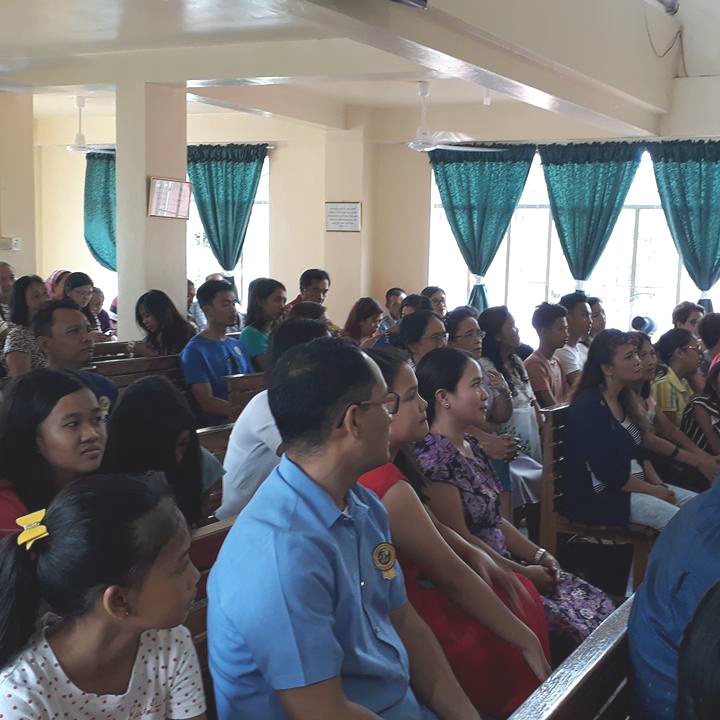 Thousands of lives have been changed and countless churches have been started throughout the Philippines and around the world because of their influence for the cause of Jesus Christ. This is and will continue to be a very difficult time for them adjusting to a new life back in the States. I covet your prayers for my parents, Robert and Sue Phillips. I am in the process of planning trips to Africa for the summer of 2019. If you or your church are interested in going, please contact me and let me know. In the coming months, I will be sharing with you more details as I get them. Since I was 11 years old I have been directly involved in missions. My dad answered the call to be a missionary and we went to the Philippine Islands in 1970. I remember the year and a half before leaving, traveling the States, raising funds so we could go. Those year were not easy. Dad was gone a lot or we all were packed in a small car, all four kids, traveling with him. We spent a lot of time in someone else’s home or hotel rather than ours. I bring this up because my parents are still missionaries in the Philippines. They are 80 and 83 years old. My Dad pastors two churches and oversees two schools and various mission churches. 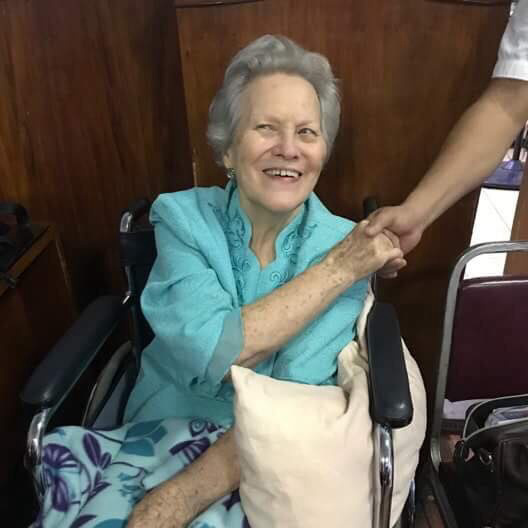 Last month, after traveling back from the States, my mom experienced a stroke and then a second one a week later. My sister, Tina had traveled back for that first week, but needed to return to States for her job. I went to do what I could to help and my brother John and his daughter, Jordan came a few days later. My parents live in a place that I know well. Not only did I live there as a young man, I also served there is a missionary. While I was there helping my parents, I was able to preach four times. The first service was on Father's Day in one of the churches that I helped start with a young Bible School graduate, Mike Valdez. Mike has now been a missionary in Cambodia for over 20 years and operates one of our MANNA Worldwide projects. There were many guest attending that day and we saw one adult saved. 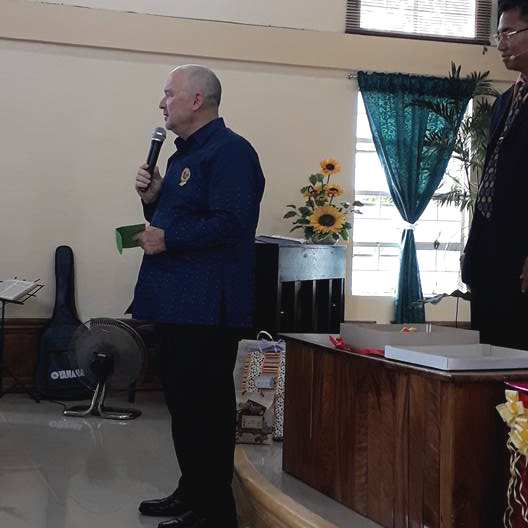 My last Sunday in the Philippines, I was able to preach at Faith Temple Baptist Church in Novaliches, QC, Metro Manila. This was the last church we started 18 years ago and they are doing fantastic under Filipino leadership. It was a blessing to see those who were there at the beginning and the many new faces. My mom is slowly improving but has a long way to go. I appreciate everyone who helped me with the expense of my trip. It was a blessing to me, but more so for my parents to have me there to help for a short period of time. Our son Brian who is a combat medic with the US Army and stationed in Hawaii also made the trip over. It had been 20 years since he was last in the Philippines, after having grown up there since age 5. He was a huge help to his grandparents and I enjoyed spending time with him as well. This summer has been slow for me and early on in the year, I had questioned why I wasn’t able to get more churches to present in. Now I know why. I may still need to go back to help my parents return to the United States for better healthcare after Mom is strong enough to travel. I appreciate your prayers for our family. For my mom to continue to improve and for God to supply our needs and expenses during this time. OUR FIRST GOAL HAS BEEN REACHED!! God has blessed with an increase in team members and our first goal has been reached! In April, I was officially promoted to Director of Africa and given responsibility over four countries. Now, we are working on our second goal of raising our work support. There are trips planned and MANNA Sundays scheduled. We are excited to see what God is going to do! The task of eradicating poverty is monumental. We may never in our life time accomplish it, but we can make a difference in the life of a few. Would you like to have a part? Join us and MANNA Worldwide in making a difference in the life of a child! During the recent State of the Union Address, our President attempted to lay out where we are as a nation and where he sees the nation going in the next year. I would like to do the same. At present, with what is coming in and with what is promised, we are at 90% of our personal support. Thank you to all who are praying for us and giving to help us reach children and families around the world. Jeanie and I appreciate it so much! WHERE DO WE SEE THIS YEAR GOING? Shortly before Christmas, our Landlord told us they would be wanting to move into our house. With over 3,000 people moving into the DFW area every month, it was very difficult for us to find a place to rent when we first moved here. The market has changed some, but rent is still very high and because of this we are praying that God will provide for us to buy a house. We would ask that you join us in praying we will be able to come up with a down payment and find a house. We will need to get out of our present house by the end of April. We set a goal to be fully supported by Spring of 2018 and WE ARE SO CLOSE! We would like to start planning trips to Africa for the latter part of this year. If you would like to go with us, let me know! We have started the new year strong and pray it will remain strong for the cause of Christ. As President Trump recognized “heroes” during his address, we also think of you as our heroes, helping us in your prayers and support to help the least among us. Thank you for all you do. 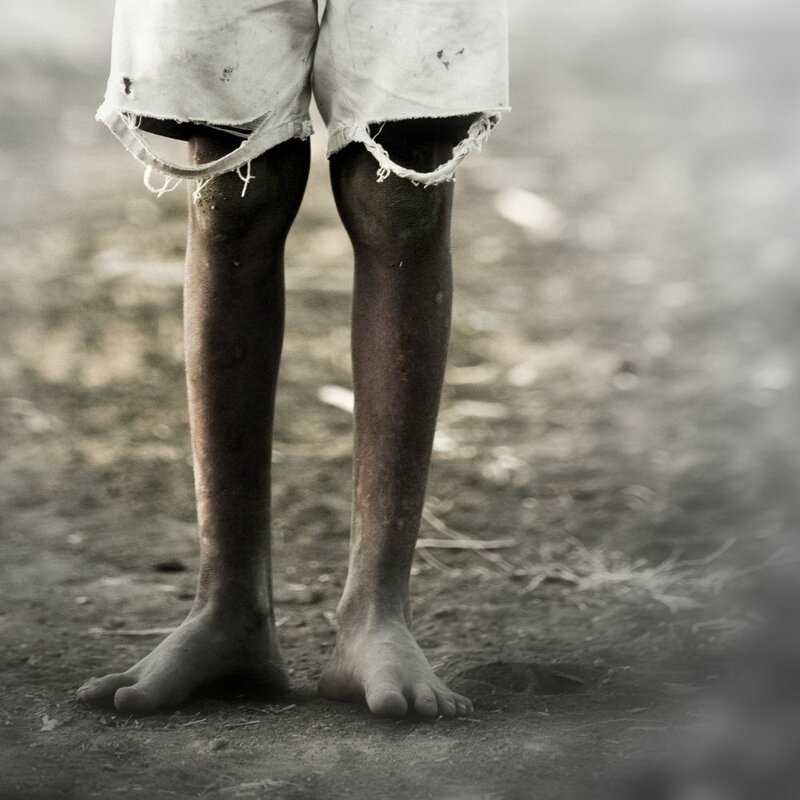 4 One out of six children – roughly 100 million – in developing countries is underweight. 5 66 million primary school-age children attend classes hungry across the developing world, with 23 million in Africa alone. 6 One in four of the world’s children are stunted in their growth. In developing countries the proportion can rise to one in three. This weekend marks the beginning of football season. College and professional teams begin their season and coaches are making decisions on who will be on their team. That is what my job is now. Before I can go to Africa. Jeanie and I are praying for 50 or more team members. We need a team who will pray on a regular basis for us and for Africa. We need a team who will give on a regular basis to enable me to oversee existing projects and to help start new schools, orphanages and nutritional centers where we see the need. In order to keep operational cost below 10%, MANNA Worldwide asks all their Directors to raise their personal support. It is the desire of all involved with MANNA to make sure donations that come in for the children, go to the children. Please consider being on "Team Phillips"
It is easy to join! Go to the DONATE page on this site and follow the instructions on how to give on a recurring monthly basis or for a one time gift. It is our desire to have our support raised by Spring of 2017. There are so many children in need in Africa and we are anxious to have a part in making a difference in their lives! We would love it if you would send an email and let us know you are on the team! Subscribe to our newsletter and connect on Facebook to keep updated on the new journey God is taking us on! Thank you in advance for your support! It’s time for school! Gary and I no longer have school age children, but can see the preparation of many everywhere we go. There is the frantic shopping for school supplies and clothes and the joyous posting of pictures of children’s first days of school on social media. For most families in the States, parents do not question if their child will be able to go to school. In fact, most have several options as to how they will educate their children. This is not the case for many living in developing countries. Imagine with me a mother who desperately wants her children to receive an education. She knows that without one, they are destined to live the same life of poverty as she, but because she has never had the money to pay for a birth certificate, her child cannot be admitted into school. Picture in your mind, even if that mother had a birth certificate, she could not afford the uniforms and shoes that in many countries, the public schools require. Many families are caught in a never ending circle of poverty because the opportunities to better themselves are nonexistent or unattainable. MANNA Worldwide is all about trying to break that cycle and give children the opportunities necessary to make it in life. Many feeding centers around the world do more than just feed the children. 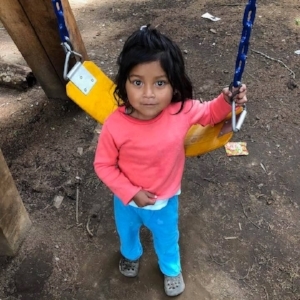 There were many times, we helped the families in our centers purchase birth certificates, uniforms, shoes and school supplies to assure our children could start school and stay there. Now, many years later, we have seen these children graduate from high school and go on to attend a trade school or college. This year, as you prepare for your own children to attend school, think about the blessings you have and if possible, look for ways you can make a difference in a child's life. Go to MANNA Worldwide to see all the different projects around the world including Nutritional Centers, Orphanages, Clean Water Projects, and much more. Also, by supporting Gary and I on a monthly basis, you help MANNA Worldwide keep their operational expenses below 10%. All gifts, whether one time, or recurring monthly are tax deductible and much appreciated! This past weekend, I visited Fairfield West Baptist Church in Fairfield, OH. Pastor Rob Rosenbalm and I have been friends for many years. The first time we met was in the Philippines. Rob, a youth pastor at the time, came over to do some ministry. Later, Rob became pastor of FBC and led his church to get involved with MANNA Worldwide. The church took on our feeding center in Novaliches, QC, Metro Manila and for many years, Rob and a group from his church would visit the children. Fairfield West not only supported our center financially, but took an active part in really knowing our kids. Many of these kids had never been inside a mall or had the opportunity to go to McDonalds. It was such a treat! This became a regular thing to do whenever a group from FBC visited. Thank you FBC for your support for MANNA Worldwide and for the years you invested in our center in Novaliches. We appreciated all you did for us! We look forward to once again partnering with you! Gary and I had been in the Philippines for over 10 years, living in northern Luzon, when we made the decision to move to Metro Manila. 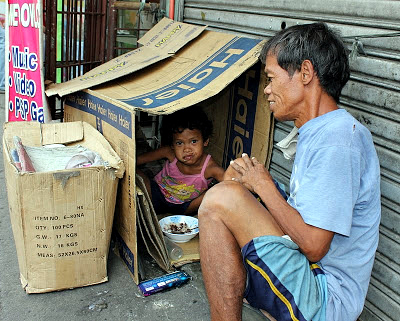 We were not prepared for the massive amount of poverty we saw in the city. Seeing families living on the streets, under bridges or in large squatter areas was heartbreaking. 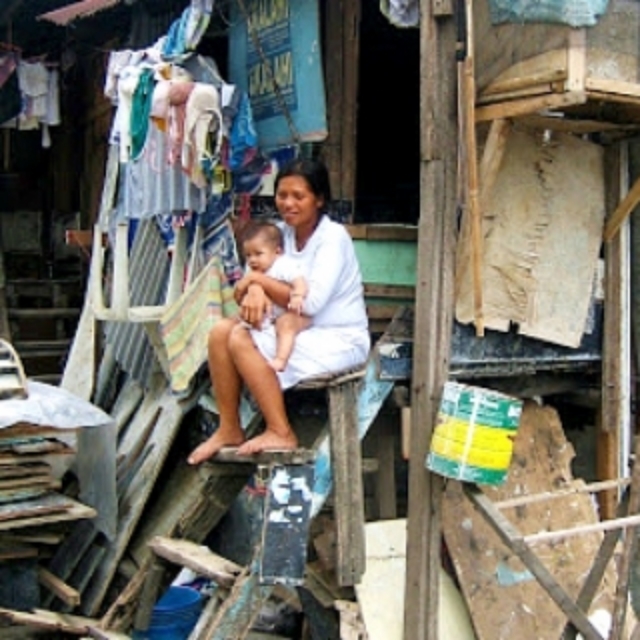 We were starting a church in Novaliches, Quezon City, MM and had no extra funds to help the families in our community. That's where MANNA Worldwide came in. We knew Bruce O'Neal, the CEO of MANNA for many years and knew he was a man of integrity with a heart for impoverished children. MANNA was a huge blessing to us as missionaries. By partnering with them, we were given the funds necessary to help families in our community. Because of this, we built good relations in the community and were able to get a church started. Recently, a friend of ours posted why he liked MANNA. He listed most the reasons why we love MANNA and we could not have said it better. It's always good to hear someone else's perspective and experience when considering being a part of an organization. Check out WHY I LIKE MANNA by Don Mingo. 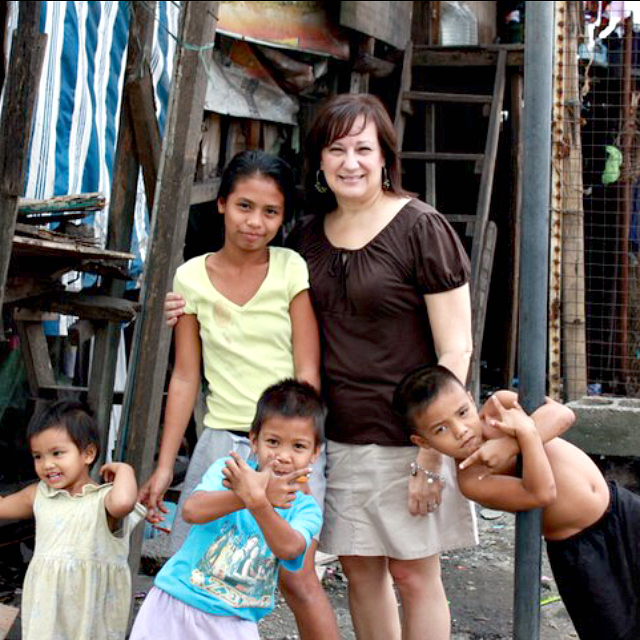 One of the families we had the opportunity to help while in the Philippines was the Esquerra family. 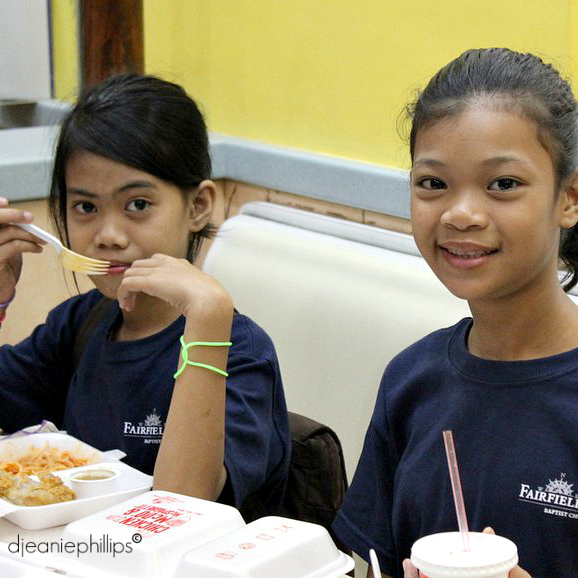 Philomena, Gabriel, Michaella and Raphael were the 4 older children that started in our nutrition center we set up in the large squatter area near Agham Rd., Quezon City, Metro Manila. Philomena was a very sweet and bright young girl. She spoke english very well and took her studies seriously. From the start, she would always walk next to me as I visited families, holding my hand and sharing about her life and grades in school. She always wanted to make sure that I knew how well she was doing in school. At first, Michaella had a temper that came out when things did not go her way, but as she matured, she became more like Philomena in her disposition. She also had a desire to learn and never missed an opportunity to sit under any teaching we did in the area. Gabriel and Raphael were typical boys. Very active and rambunctious. Raphael would do anything to get me to laugh. I would often hear my name and turn around to see him making a face at me. I have such fond memories of this boy. As I would pass out medicine to children in the squatter area who were sick, he would often fake a cough to get me to pay attention to him. At the time the children were in our center, their father was working any job he could find and their mother was pregnant with her 6th child. The last opportunity I had to visit with her, she was once again pregnant with number 7. The homes in this area were eventually demolished and the families relocated by the government to an area outside of Metro Manila. At first, many of the families in this squatter area did not want to be moved but several years later, I was able to speak with Philomena and she told me how nice their new place was. Instead of a bamboo hut, they now had a concrete block home that was quieter and cleaner than what they at Agham Rd. The squatter area near Agham Rd had an estimated 50,000 children at the time we were there. We would never have been able to care for all of them, but because of MANNA Worldwide, we were able to feed 60 children on a regular basis and help many other families with basic sanitary and medical care. Our desire is to see more opportunities open up through MANNA Worldwide in Asia and other parts of the world. Because of our many years in the Philippines, Gary has a special insight as to what could be accomplished. Will you consider giving a one time gift, or supporting on a monthly basis to enable him to help more families like the Esguerra's?